Paris, France – The city of Paris is commemorating World Water Day by becoming the largest city in the world so far to become a Blue Community. 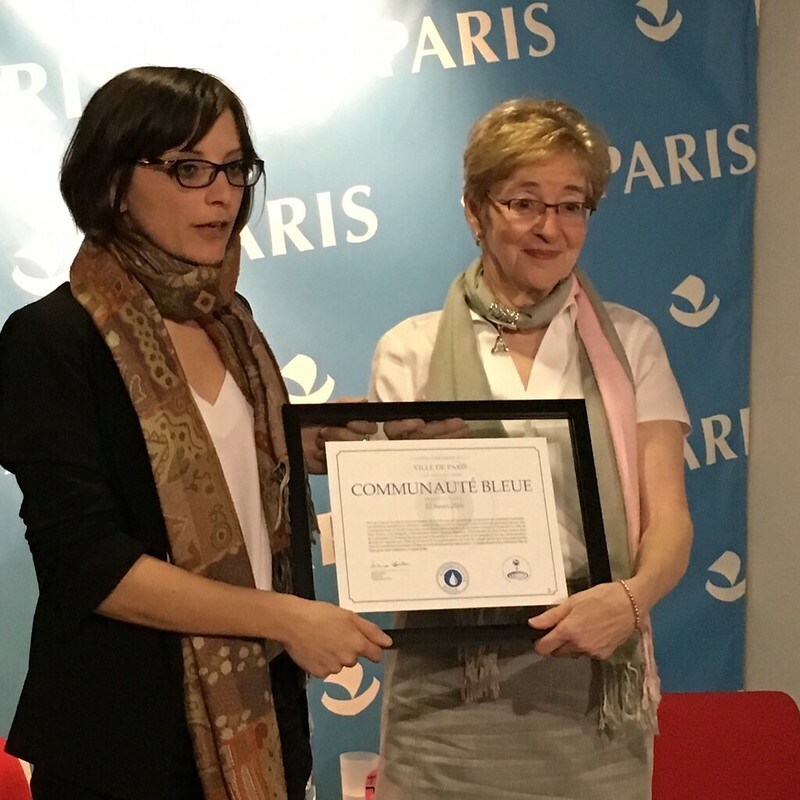 This morning, Council of Canadians National Chairperson Maude Barlow presented Celia Blauel, the deputy mayor of Paris, with a certificate recognizing Paris for this achievement. Recognizing water as a human right. Preventing the sale of bottled water in public facilities and at municipal events. Promoting publicly financed, owned and operated water and waste water services. With a growing number of municipalities in Canada that have become Blue Communities, the initiative is also beginning to take off internationally with Paris becoming the third city outside Canada to do so, following Bern, Switzerland, and Cambuquira, Brazil. There are 18 Blue Communities in Canada so far, including Thunder Bay, Niagara Falls, Burnaby, and Victoria, with Montreal considering becoming a Blue Community in the near future. Tsal'alh, St’át’imc Territory recently became the first Indigenous Blue Community. The Blue Communities Project is a joint initiative of the Blue Planet Project, the Canadian Union of Public Employees (CUPE) and the Council of Canadians. This project builds on nearly two decades of Water Watch work in coalition with many other groups to protect and promote public water.